We told about the richest representatives of such esports discipline as Dota 2 in the first part. 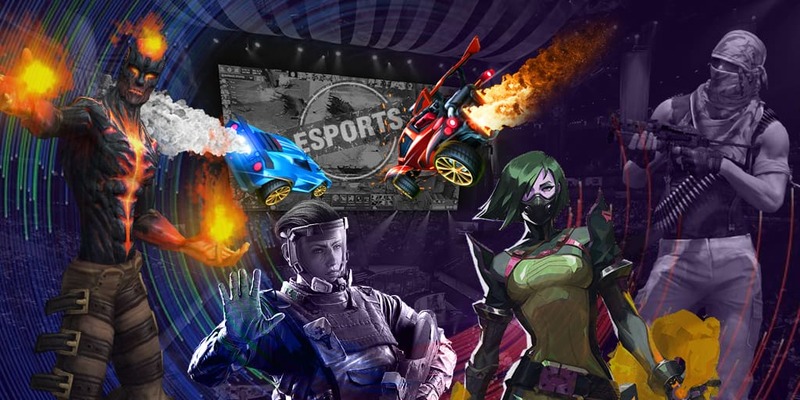 Due to The International brings some kind of a disbalance in the economic system of the esports, there was no place for the rest of esports disciplines in our previous top. Besides this MOBA project, there are a few other popular computer games, in which talented esportsmen make a fortune. In this material, we will tell you about professional players outside of the MOBA project by Valve. Note: saying “The richest esportsmen”, “Total earning” and other interconnected notions, in this case, we mean the money earned at the tournaments excluding taxes to the government, paid a percent to the organization and other charges. Note #2: we have the players’ names in Latin characters for you to interpret the names yourself according to the practical transcription of any of the languages to avoid indignation over our variant of interpretation. The Brazilian legionary began his professional career of a player in CS 1.6 in 2005. Later, he moved to CS Source and to CS:GO in 2013. In his career, Gabriel changed more than twenty teams but the most successful roster, in which he participated, was Luminosity Gaming, which moved under the colors of SK Gaming later. 2016 was the most successful year for FalleN in his career. He, being on the roster of Luminosity Gaming, achieved victory at the very first CS:GO Major championship with the prize pool in the sum of $1,000,000 in April, having earned $500,000, the Brazilian won the $1,000,000 tournament twice in a row in July, having moved to SK Gaming, and earned the same prize. 2018 was the least successful for Fallen over the last couple of years, however, this still allows him to place 10th in our rate of the richest esports outside of Dota 2. The Danish esportsman started his career at the age of 17 in 2015 and played under such tags as SK Gaming, Team Dignitas, North, OpTic Gaming, and, of course, Astralis and in other teams too in his career. In 2016, being on the roster of Dignitas, the Dane managed to prevail in the final against Natus Vincere at EPICENTER 2016. The team earned the main money prize in the sum of $250,000. The player moved to Astralis later where gained the biggest popularity. In 2018, Magisk won eight large tournaments and the first season of Intel Grand Slam. Astralis achieved with this esportsman what they lacked and became the most successful CS:GO team in the history of the above mentioned discipline. In one year, Emil managed to totally earn more grabs than the majority of top players, which allowed him to hold the 9th place on our list of the richest professional video game players (except Dota 2). 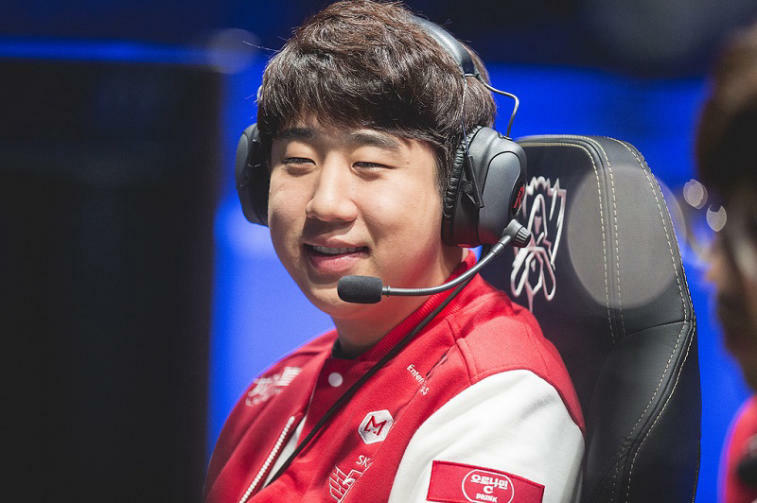 The Korean esportsman is one of the most famous League of Legends players. Being on the roster of SK Telecom T1, he managed to advance to the final of the LoL world championship three times. He achieved victory twice and held the second place one time. 2016 is considered to be the most successful period in his career. Then, he placed first at a row of large LoL championships, including 2016 World Championship. SKT1 earned a money prize in the sum of $2,028,000 for the victory at the main tournament of that year. 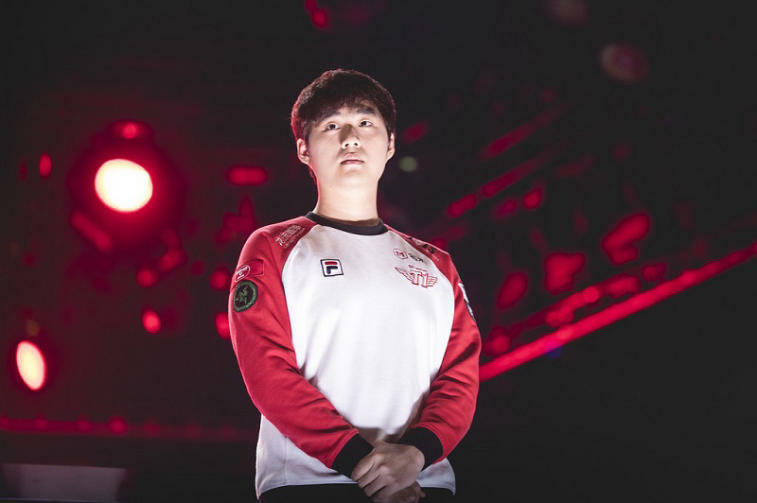 A month ago, Bang finished a partnership with the organization, which made him popular and moved to 100 Thieves. In his career, Bae Jun-sik earned $1,050,826, due to which he opens the $1,000,000 category in this top. Lee Jae-wan is one more famous League of Legends esportsman, which became popular and earned a lot of grabs, playing for SK Telecom T1. He, just like bang, won 2015 World Championship and 2016 World Championship and held the second place at 2017 World Championship. In the middle of November, wolf left the roster of SK Telecom T1 and represents SuperMassive eSports now. In his career, Lee Jae-wan earned $1,050,894, due to which places 7th on the list. The player of Invictus Gaming, like two previous esportsmen, became widely popular, playing for SK Telecom T1. His main difference from band and wolf is that he had moved to Invictus Gaming at the end of 2016, which allowed the Korean to hold the first place with his new team at 2018 World Championship. iG earned the main money prize in the sum of $2,418,750 for their efforts. Lee Ho-seong enters the top two richest League of Legends players in the world and the Korean’s total grabs are equal to $1,082,929. The South Korean esportsman Lee Sang-hyeok is the most popular, successful and titled player in the history of League of Legends. 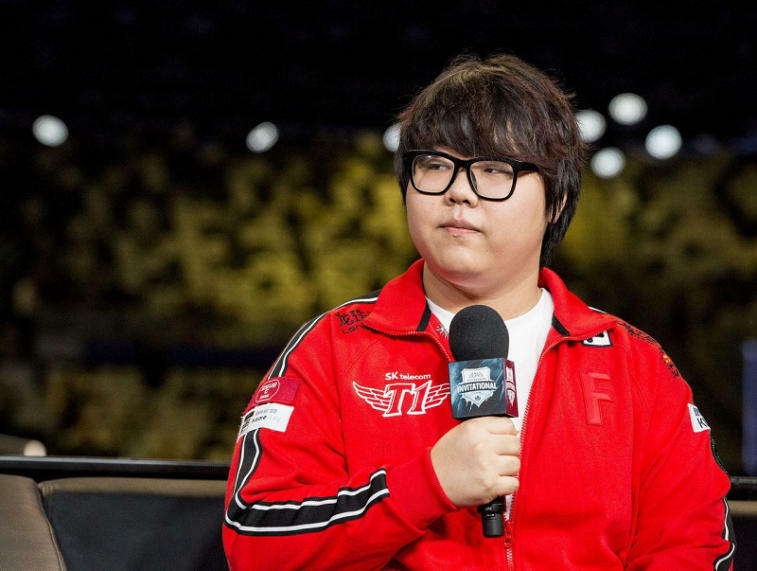 He began his career at SK Telecom T1 K at the end of February 2013. At the end of 2014, he had been moved to the main roster of SK Telecom T1 where he has been playing to the date. 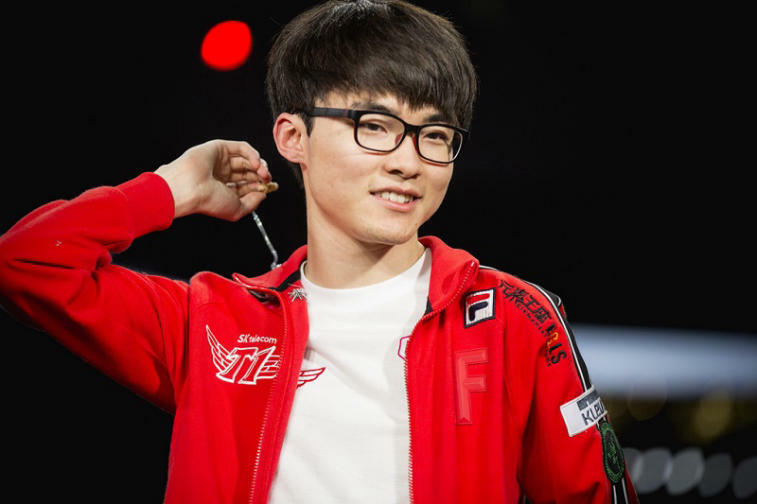 Faker’s biggest achievements are the victory at 2015 World Championship, 2016 World Championship, and the second place at 2017 World Championship. Faker’s total earnings are equal to $1,114,710, which makes Lee Sang-hyeok be the only LoL player who has crossed the threshold in the sum of $1,100,000. Lukas Rossander is a captain of the most successful CS:GO team today. Astralis started their first rising after the joining of the Danish talent at the end of 2016. The gaming media described gla1ve as a very perspective player and, having transferred from Heroic to Astralis, Lucas managed to unleash his unusual potential of an in-game leader. Rossander started his way in the esports in 2010 when he was 15. Now, the Dane’s general sum of grabs amounts $1,148,469. In 2018, gla1ve had a triumph at eight large tournaments and earned with his team a prize in the sum of $1,000,000 for the victory in the first season of Intel Grand Slam. Nicolai Reedtz started a career at the beginning of 2013 when he joined Copenhagen Wolves. He moved to heroic later and then returned to Copenhagen Wolves. At the end of 2013, dev1ce had joined Andreas "Xyp9x" Højsleth’s team and hasn’t changed his team for a long time. 2018 is the most successful period in Nicolai’s career, just like in the case of the rest of players of Astralis. The Danes managed to win many large championships and became the first team to prevail four tournaments in Intel Grand Slam series. The team earned a money bonus in the sum of $1,000,000 for their efforts. There are no doubts that dev1ce will soon overcome a point in the sum of $1,300,000 but now, his sum of grabs is $1,284,801. The oldest representative of Astralis Peter Rasmussen began his career as a professional player in September 2012 when he joined 3DMAX. After that, the esportsman moved to Copenhagen Wolves, in which met the other Danes, with who he still plays. Together with them, he created the team über G33KZ, which had a long path and became Astralis, which we know today. Peter is one of the most obvious proofs that CS:GO is not only a way to relax after a difficult working day but an alternative of a good profit. Andreas started his career in 2012 and played in a few teams. All his series results were achieved on the roster of Astralis. At the end of 2013, über G33KZ was formed, which moved from CS Source to CS:GO. Later, the five continued their career in Team Dignitas, after which the players moved under the colors of Team SoloMid and when the ways of the Danish esportsmen and the above-mentioned organization were parted, the five continued playing under the tag ‘?’ (Team Questionmark). A month and a half later, the players changed a name to Astralis and achieved the incredible results in the next three years, about which we had previously told. An interesting fact: Xyp9x has been playing with other two representatives of the list for five years, dev1ce and dupreeh. So the conclusion is that the stability of the roster of Astralis is one of the Danish team’s main keys to success.